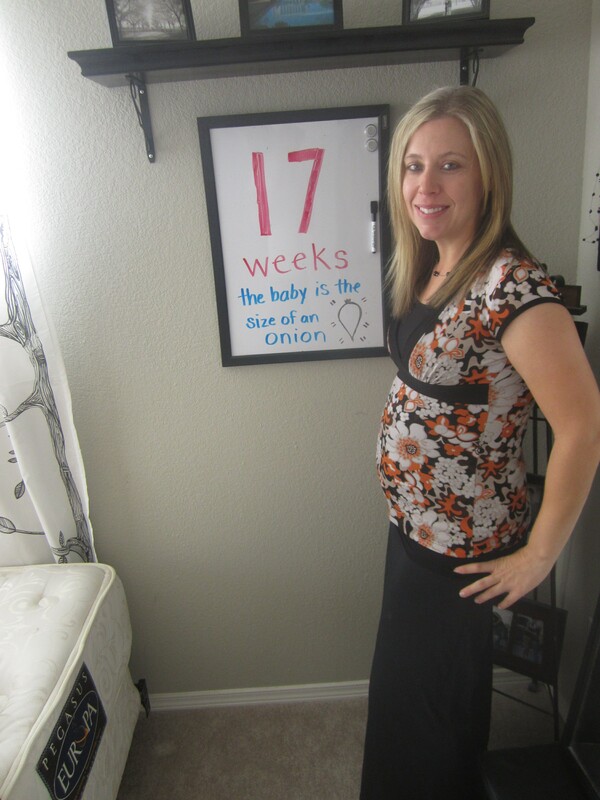 Maternity clothes: Love dresses! I can wear all my normal ones and not feel so claustrophobic! I feel REALLY big this week and I’m not even halfway there. Curse you short torso! It’s time for me to be creative. Sleep: I’ve been sleeping a lot better because I have been wearing myself out doing all sorts of projects around the house. I also make myself go upstairs to bed now instead of falling asleep on the uncomfortable bean bag! The bed is my favorite place! Best moment this week: Not being sick anymore and going for a bike ride with Mike and Kimball. Love being on a bike! Can’t wait to tear it up this summer! Miss anything: Running and group fitness classes. I really, really miss my quality workout times with my husband. I love working out with him! Morning sickness: No. I just get really, really hungry in the morning. Movement: I am supposed to feel the baby this week. I am excited! Food cravings: Donuts. Mike and I had one a couple of weeks ago and ever since, I can’t stop thinking about them. Terrible! Gender prediction: This whole time I keep thinking it is a boy, but then I start thinking it’s a girl because I keep thinking it’s a boy! Belly button in or out: In…when it pokes out I am going to be weirded out! Wedding rings on or off: Actually wore mine this week. Happy or Moody most of the time: I was seriously WAY moody this week and felt sorry for anyone in my path. I actually felt angry and enraged after work a lot over the stupidest things. Thankfully the people around me are saints. Looking forward to: Finding out the gender in a couple of weeks! And Thanksgiving this week! This entry was posted in Pregnancy by thefasteryoupedal. Bookmark the permalink.